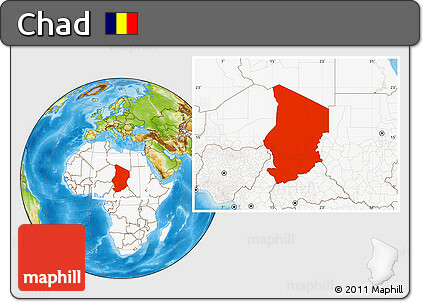 Chad is the home for more than 200 ethnic groups and up to 200,000 Sudanese Refugees. 80% of the Chadian people live under the poverty line. Japhnes N’doram was a popular Chadian soccer player idol in the mid 1990s. Capital City: N’Djamena is the capital and largest city of Chad. A port on the Chari River, near the confluence with the Logone River, it directly faces the Cameroonian town of Kousséri, to which the city is connected by a bridge. Religion: Muslims are largely concentrated in northern and eastern Chad, and animists and Christians live primarily in southern Chad and Guéra. Islam was brought in the course of the Muslim conquest of the Sudan region, in the case of Chad complete in the 11th century with the conversion of the Kanem-Bornu Empire.